Joel Joseph is an activist. He is the chairman and founder of the Made in the USA Foundation, a non-profit that promotes American made products. Normally he helps American companies compete against cheaper, foreign made goods. In 2014, he found himself the unwitting purchaser of foreign made atorvastatin, the generic equivalent of Lipitor. Lipitor is a well known cholesterol lowering medication made by Pfizer. Shortly after Pfizer’s drug patent expired in 2011, generic atorvastatin began showing up in the U.S. marketplace. Much of it coming from India and a company called Apotex. Although headquartered in Canada, Apotex manufacturers in India. Unfortunately for consumers, Apotex has a long and tortured history with the FDA. In 2009, Apotex received a warning letter from the FDA over cGMP violations at one of its Canadian plants. cGMP is the industry term for current good manufacturing practices. In 2010, another Apotex facility received a similar warning. Things were so bad that the FDA imposed an import ban on their products. The FDA reinspected the Canadian plants in 2013 and found more problems. In 2014, the FDA banned drugs from an Apotex facility in Bangalore, India. The Bangalore plant manufactured atorvastatin. In publishing its findings, the FDA noted, “According to laboratory analysts interviewed during the inspection, the common practice was to complete the analysis and to record the sample preparation data only if the results were acceptable. If the results obtained were atypical, a fresh sample was to be prepared and analyzed. The original sample testing was not recorded." None of this information was known to Joel Joseph. That all changed when Joel’s doctor diagnosed him as having high cholesterol. Joel was given a prescription for “generic Lipitor” and went to his neighborhood Costco to have the prescription filled. What he received was a bottle of atorvastatin. The bottle’s label did not contain country of origin information. U.S. law requires that imported goods be labeled with the country of origin. U.S. made goods, however, do not need to have such a label. 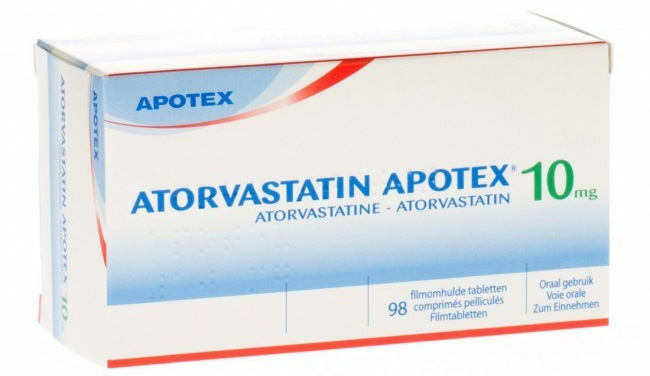 In the absence of any country of origin, Joel Joseph thought the atorvastatin he purchased was made in the United States. The drug bought by Joel wasn’t made in the United States, however. It was imported from Apotex’s Bangalore, India plant. Worse, it was being distributed by Costco even after the FDA added the drug to its “Red List” of banned drugs. Apotex’s quality control issues were so bad that the FDA ordered the drugs seized and barred them from importation into the United States. When Joel found out that Costco was selling banned drugs, he filed suit against both Costco and Apotex. His complaint against Apotex claimed the company was misleading consumers by not including a country of origin. Sadly, Joel’s complaint was dismissed by a federal judge in Los Angles last month. Joel attempted to prosecute the case himself and without a lawyer. Taking on big pharma is never easy, even if you have an army of lawyers. The lessons here are obvious, however. The FDA was only able to inspect Apotex’s plants every two years. In some cases, the inspections took place over much greater intervals. Much mischief can take place in the interim. The FDA can’t be ever where, all the time. This story also tells us that despite import bans and seizure orders, bad drugs can still infiltrate the commerce stream. Like the Pharmaceutical Integrity Coalition, we believe there are many bad drugs circulating worldwide. The quality of drugs sold in the United States and in many European countries is admittedly better than elsewhere in the world. Better does not mean perfect, however. The pharmaceutical industry represents everything bad and good about our world. Millions of lives have been saved because of breakthrough drugs and manufacturing processes that make those drugs widely available. Yet some executives in big pharma are more interested in money. Their greed threatens the entire industry… Martin Shkreli pleading the 5th and tweeting about “imbeciles”, Apotex and Ranbaxy hiding poor quality control test results. If you have information about cGMP violations, banned drugs being sold in the United States, under or over potency drugs being sold in the United States or other FDA violations, report it. Whether you come to my law firm, choose someone else or simply call the FDA, say something. You need not be a U.S. citizen or even a resident to receive an award. You do need to file a lawsuit, however. Calling the FDA’s tip line does not earn you a large cash award. Whistleblower complaints are filed under seal meaning they are secret while the case is being investigated by the government. And you don’t have to pay any legal fees unless you receive an award. Be a hero. Stop dirty pharma. About the author: Brian Mahany is a whistleblower lawyer and guest blogger. He is also the author of Saints, Sinners & Heroes, due for release on May 8th. Brian welcomes questions and comments. He can be reached at [hidden email] or by telephone at (877) 858-8018.